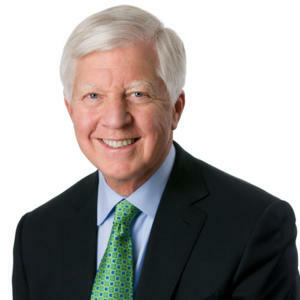 Bill George: "Just as a calm sea doesn’t make a great sailor, a period of economic stability doesn’t make great leaders"
Senior fellow at Harvard Business School and former chairman and CEO of Medtronic, Bill George is widely considered one of the greatest CEOs of the 20th century. As he sees it, times of crisis allow leaders to test their mettle. His book, 7 Lessons for Leading in Crisis, illustrates ways to navigate such turbulent times. Leaders League. What are the main qualities of a leader? Leaders League. In 7 Lessons for Leading in Crisis you put forward the idea that a crisis helps to develop leadership. Can you explain how? B.G. Just as a calm sea doesn’t make a great sailor, a period of economic stability doesn’t make great leaders, ones that are capable of identifying and capitalizing on the opportunities that a crisis provides. In terms of leadership, crises can be seen as trials. Only those directors who know how to stay true to their values while adapting to changes in the market can be considered real leaders. In times of crisis choices are more critical. My book tries to give leaders advice to avoid the pitfalls. Leaders League. Looking back at your time as a CEO, what would you say was your biggest mistake and your greatest success? B.G. My biggest mistake was to sign off on the promotion of a president of a group in Europe without having checked out his qualities. He had been an excellent manager, but he lacked the requisite qualities to be a leader. Later, it transpired that he had been implicated in a corruption scandal. I would say my greatest success was taking Medtronic from being a manufacturer of pacemakers to a world leader in medtech. Thanks to its products, the company saves the lives of eight million people each year. I am very proud of that. This article is taken from our monthly newsletter “Leaders Wisdom Journal”.To Subscribe. Other articles of the same issue:? Leadership vs. Power: Two contradictory systems of governance?